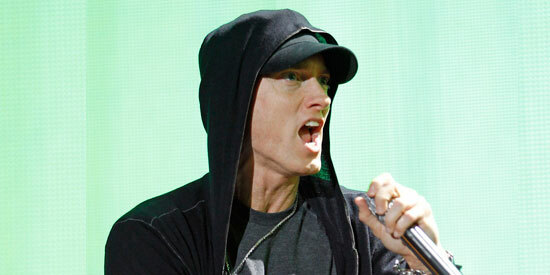 Rapper and actor Eminem has beaten Lady Gaga and Rihanna to the staggering figure of 60,093,667 likes on the social networking site. According to social media tracker site Star Count, 195,000 of the likes came within the last week. Eminem is the first person to reach 60 million fans on Facebook! The rapper and actor has beaten Lady Gaga and Rihanna to the staggering figure, gaining 60,093,667 likes on the social networking site. According to social media tracker site Star Count, 195,000 of the likes came in the last week. He has long been the most popular person on Facebook, taking over from Michael Jackson—who passed away in 2009—on the site in February 2011. Rihanna is the second most popular person after Eminem, with 59,318,829 likes. Meanwhile, soccer star David Beckham has thanked his fans after he reached 20 million likes on his Facebook page. He wrote: "Just seen that we have reached 20 million, incredible...a special thank you to everyone, I have the best support out there." David recently claimed he was too busy for Twitter—which his wife Victoria uses—and would be unable to give it his full attention if he set up his own account. Asked in a Twitter chat via the Adidas UK account if he would set up his own page, he replied: "Will have to wait and see, I like to do things properly so will only do it when I can commit to it."